Preventive maintenance can go a long way with golf carts, and the little bit of time and investment required for your golf cart care will be well worth it in the long run. It will keep your golf cart in great shape for you, and help you to retain its value in case you ever decide you want to sell it. First and foremost, keep a good eye on your golf car. Check your tire pressure, check underneath from time to time to make sure that nothing is caught in your undercarriage and check your springs just to be sure they do not become cracked or broken. Basic maintenance includes keeping your suspension and steering components properly lubricated. For electric golf carts, you will want to keep your battery well-maintained to extend its life. Keep it charged, keep terminal connections free of corrosion and check the battery acid levels as your battery ages. For gas-powered golf cars, replace the plugs every two years in carts with heavy use and in three-to-five years for carts with more limited use. Replace the fuel and air filters annually and check the drive belt for cracks or rotting. Also be sure to protect the exterior of your golf cart. If it isn’t garage-kept, it is best to keep it covered with a golf cart cover. If you have leather seats, use a leather protectant on them to avoid cracking. If your seats are cloth, a simple fabric protector will do. 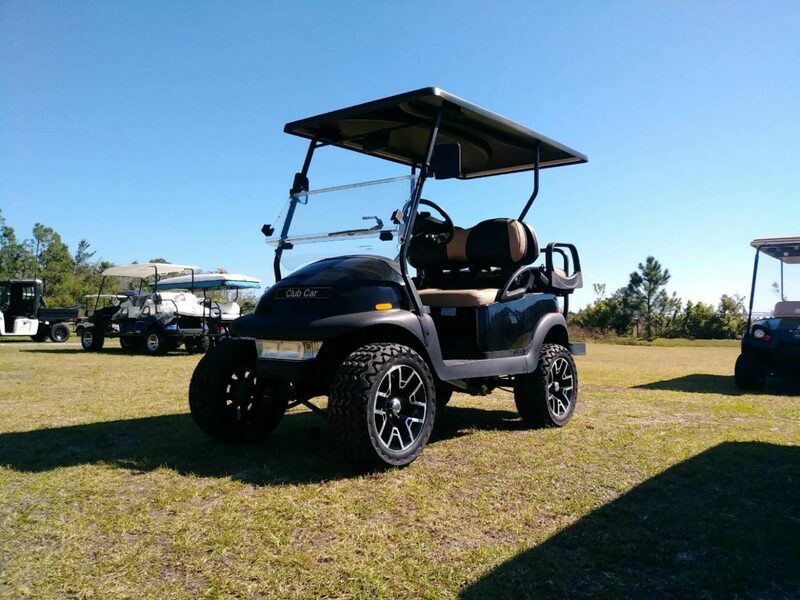 If you need any help with your golf cart maintenance, Gulf Atlantic Vehicles, conveniently located on Pioneer Trail in New Smyrna Beach, would be more than happy to help. Our family has provided top-quality golf cart sales and service for four generations and we are proud to have served the New Smyrna Beach area since 1965. We also have 10 years of manufacturing experience. Gulf Atlantic service and assembly departments are fully staffed with professional, mobile factory trained technicians; our accessories department is fully stocked; and we have on-site computer tools for even the most sophisticated electrical systems. We also offer exceptional over-the-road service.